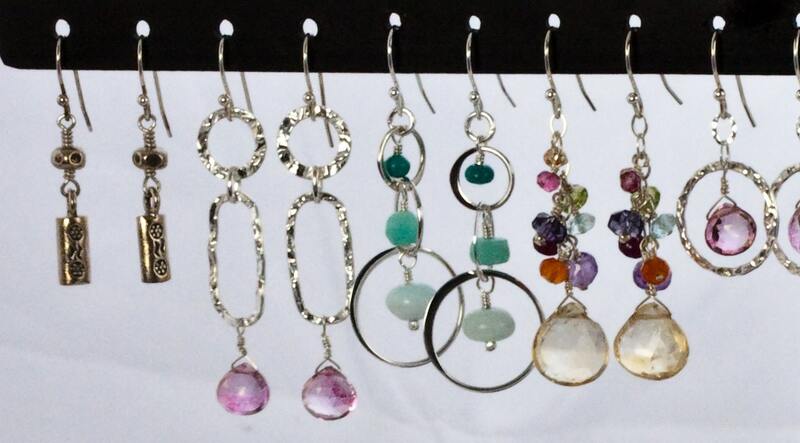 A vast array of precious gems dangle down sterling silver. 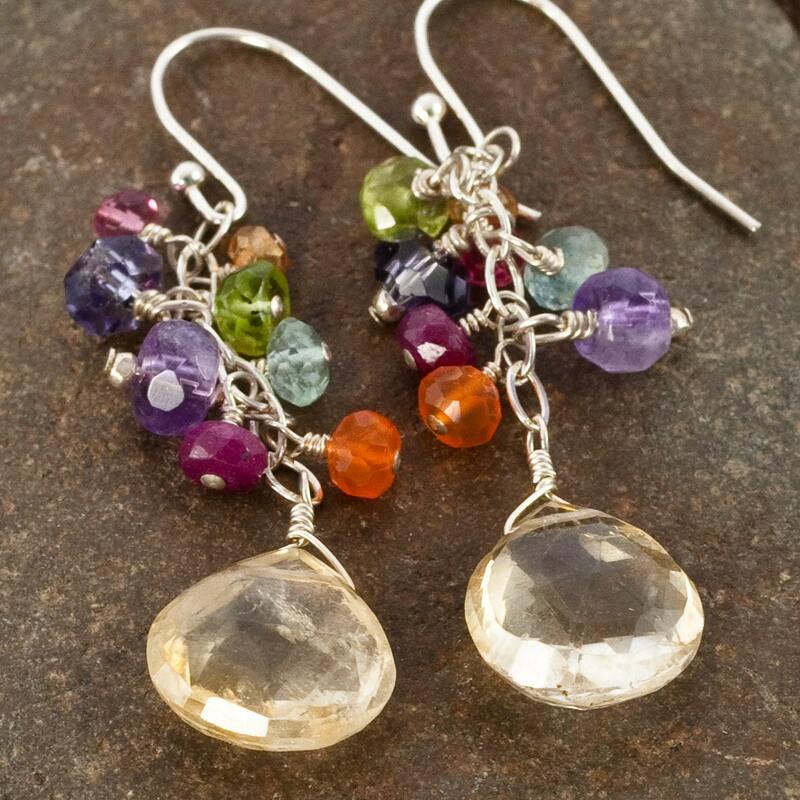 A citrine briolette anchors carnelian, amethyst, aquamarine, peridot, ruby, and topaz jewels. On a sterling silver French ear wire. These earrings go with everything! 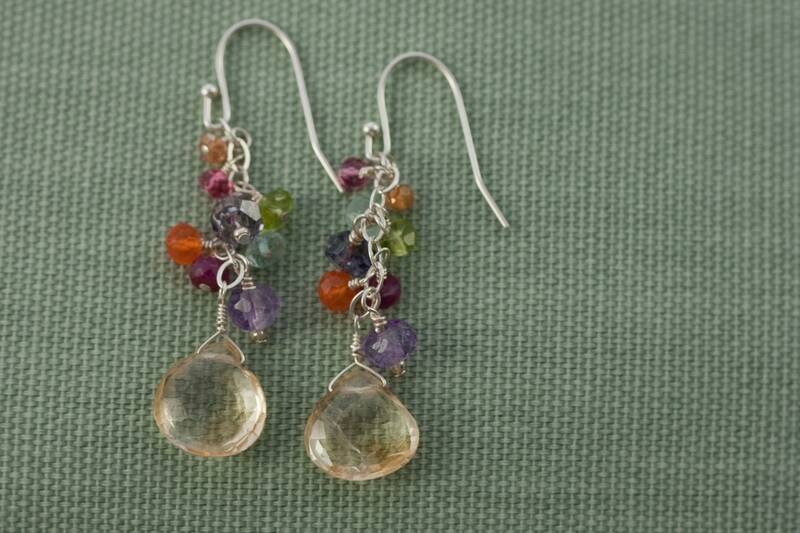 This earring would be amazing as a birthstone earring. 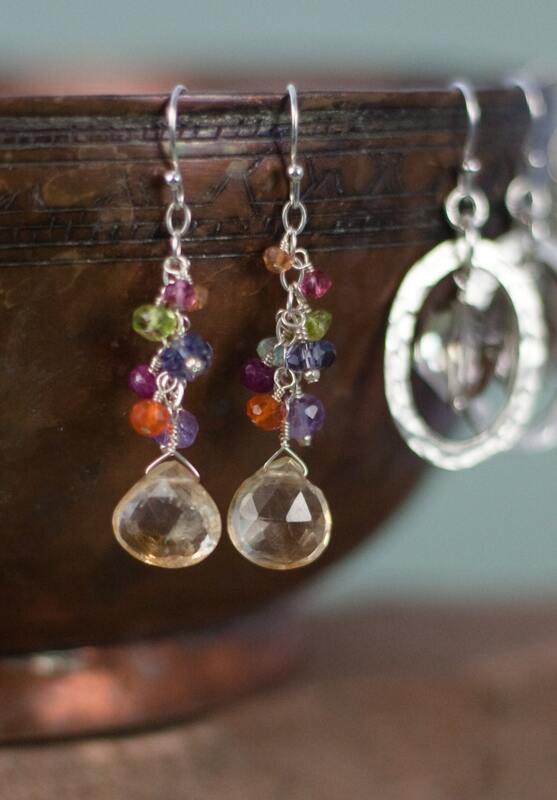 The citrine brio at the bottom would remain the same, but then customize the gems to fit your family's birth months! So much more creative than the standard Mother's bracelet! Convo with questions and instructions, please!